IHSE specializes in innovation, leadership, and performance of KVM products and the next generation of products for high definition video extenders, switchers, and signal management since 1984. These KVM products are designed for the growing need of bigger, faster solutions for the increased complexity of IT environments. Call us today and let one of our engineers help you find the IHSE combination that fits your needs. 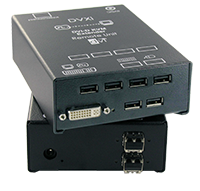 IHSE USA is a leading provider of KVM (keyboard, video & mouse) products supporting long distance signal extenders and switching for DisplayPort, Dual Link DVI, DVI, HDMI, VGA, SDI, USB, audio and RS-232 serial data. IHSE technology is deployed worldwide by public and private organizations such as broadcasting, post production, government and military, medical, gas and oil, maritime, financial, and education industries. 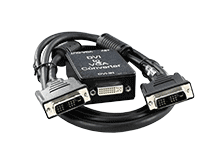 The company offers a complete line of DVI and HDMI video extenders over CATx or Fiber Optic cables for “mission critical” video and data access. IHSE’s KVM Matrix Switches have received numerous “Best in Show” awards from NABShow and InfoComm for their high performance, modular matrix systems. Supporting the latest video resolutions and connectivity solutions, instantaneous switching response is a key feature and benefit available in their products. IHSE has cultivated their connection options to accommodate the flexibility and minimal space requirements requested by IT professionals across the globe. Contact our 42U technical experts to find your best fit! The full range of IHSE KVM Extenders accounts for the wide application range of possibilities with various upgrade opportunities to extend other video standards and convert analog signals. 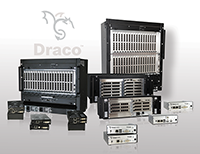 The Draco lines have demonstrated great speed and scalability in a cost-effective package. A major selling point is IHSE’s exclusive Flex-Port technology allowing each matrix port to be user configured as an input or output.